"Managed Like We Own It"
Providing a superior level of informed, professional management services to property owners and tenants on the Mississippi Gulf Coast. Click on "Available Listings" link on the left to see our current inventory. Rental Management, LLC will help you get the most out of your investment by maximizing your rental income. Rental Management, LLC strives to provide the most professional, effective, accurate and efficient property management service available. We specialize in providing quality housing along the Mississippi Gulf Coast. We cover the Biloxi, D'Iberville, St. Martin, Gulfport, Ocean Springs, Long Beach, Keesler Air Force Base, Gulfport CB Base and Woolmarket areas. 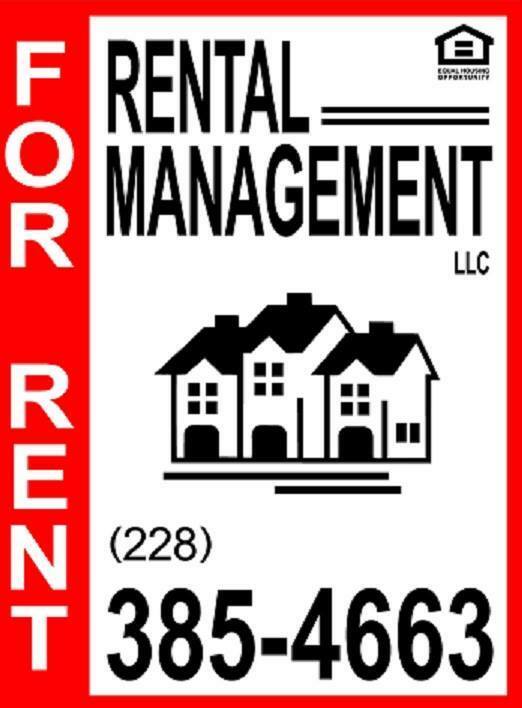 Call Rental Management, LLC today at 228-385-HOME (4663) and let us help you find a place to call home. *The homes for rent and listed as available change daily and are subject to change without prior notice. All information contained is believed to be accurate but not guaranteed.